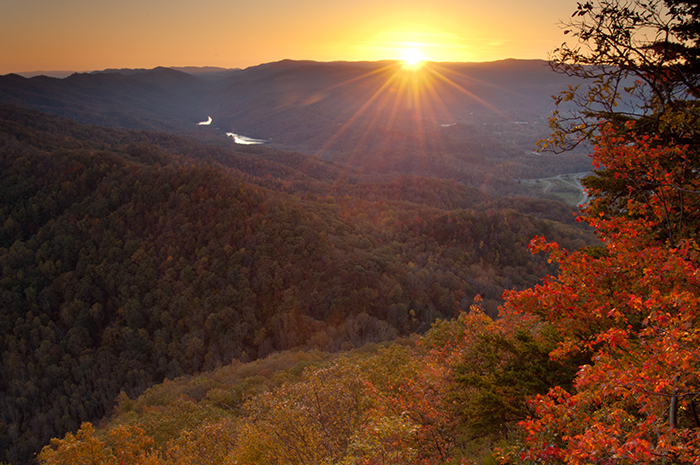 This image to me is a classic view of last light over the Cumberland Gap. Taken in mid-October as the fall colors were just starting their yearly "journey" towards peak, I wanted to showcase autumn color in warm light. The expansive scene here at Pinnicle Overlook is worth the effort to observe anytime of year and even better when the essence of it can be conveyed through a photograph.